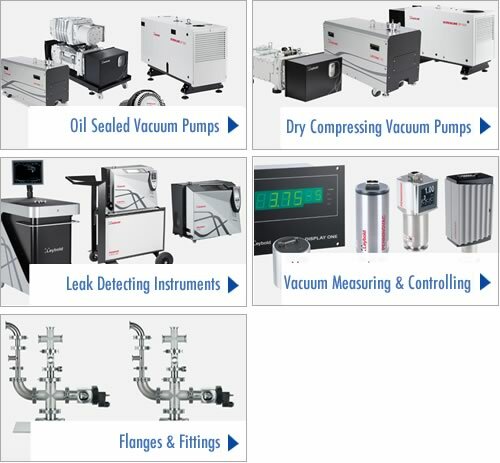 A pioneer of vacuum technology, Leybold Vacuum offers a wide range of vacuum components, standardised and fully customised vacuum solutions, complemented by vacuum technology accessories and instrumentation. Leybold's core capabilities centre on the development of application and customer specific systems for the creation of vacuum and extraction of process gases. Leybold Vacuum's ability to meet the highest requirements of most complex applications gives our customers the competitive edge to succeed. High duty processes in metallurgy, clean-room conditions at worldwide institutes for research and development, or coating applications of minute dimensions – Leybold Vacuum offers the highest performance. We support our product with technical advice, parts, Vacuum pump repairs, Vacuum pump service and maintenance and product-related training.